Where Are Those 300 Yard Videos? "Consistent" is an ordinary English word. There's really no need to define it. My dictionary says that "consistent" means conforming to a regular pattern. Hitting the fairway once or twice out of three of four attempts doesn't constitute consistent accuracy. I think it's fairly obvious what I meant by "close", but I'll play along. A 2.0 index is getting close to scratch, a 4.0 has quite a long way to go, and an 8.1 is nowhere near it. What does that mean? 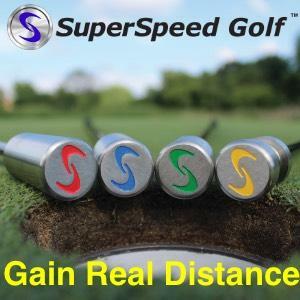 I wouldn't be surprised to see a 2.0 index hit the ball consistently 300 yards down the fairway (maybe), but I think that would be beyond your average 8.0 marker. No doubt, there are people with handicaps between those points that can do it. My point is that they're unusual, at least in my experience. Huh? Yeah, I agree. I've actually never seen anyone that could accurately drive the ball anywhere near 300 yards consistently that wasn't close to playing off scratch. It's pretty obvious why that should be the case. Despite what guys might say on the internet, few golfers consistently hit the fairway, let alone consistently hit the fairway 300 yards from the tee; and it's a fairly safe bet that the overall game of a golfer that's able to do so would be such that he or she could expect to make par or better from that point. Free speech has had a rough time in Canada since the adoption of the Charter of (so-called) Rights and Freedoms, hasn't it? Right to be offended? Careless lack of censorship? Sheesh. Ha ha. Exactly. I'd still pick Tiger, by the way. His matchplay record is phenomenal -- and a bad hole or two in that format won't hurt him too much either. I'm a little surprised that this is being taken at all seriously. It's your job, as a parent, to teach your kids how to act; it's not the responsibility of the pros playing golf on TV. If you're really concerned about the pros' language, you should explain to your kids why (you say) it's wrong "to use use the Lord's name in vain." While you're at it, you might try to explain to them that this is an area in which people's views can reasonably differ, and that, in such areas, it's often wise to avoid taking offence at the behaviour of people that may not share your own moral or religious views. If you were Tiger Woods? Yeah, that's why it's called a forum. More importantly, all of the criticising, critiquing and "advising" about which you complain -- let's just call it "public interest" -- is part of what makes the world of professional sports go round. No, that didn't happen. But even assuming that you're right -- which takes a lot of effort and makes me feel idiotic -- there would be nothing 'classy' in Watson gifting the Open to Cink by deliberately losing the playoff. If Watson had done that, he wouldn't be congratulated; he'd have irreparably tarnished his legacy. You could've said that at the beginning and saved me the trouble of reading the rest of your post. Anyway, to say that McDowell "won" the US Open by Johnson (or Woods, Mickelson or Els, or anyone else) "losing" it is equally absurd. Leading after three rounds means just that -- you have the lead after three rounds, with a further round to go. It doesn't make any sense to say that someone should have won a tournament shooting 71, 70, 66, 82! A final round in the 80s -- even from an American! -- usually won't win a US Open. It's as simple as that. Club Pro Out of Line??? The driver does not have to pay to fix his car. The damage was caused by the negligence of either, or both, the golfer or the club. In this situation, assuming the golfer behaved relatively normally, the club will generally be liable for its failure to erect an adequate security barrier to protect drivers on the nearby road from errant golf shots. The golfer's liability may be more complicated. He would certainly owe a duty of care to passing motorists, but whether that duty was breached in a particular instance would depend very heavily on the circumstances. For example, he would not be liable for the mere accidental playing of a poor shot. But he may well be liable if, as a right-handed golfer, he knew that his usual shot was an uncommonly wicked slice, but nonetheless proceeded to aim his tee shot down the right side of the fairway in the vicinity of a road. His knowledge about the presence or absence of any safety barrier on that side of the course would also be relevant. I'm not a big fan of the "Baddeley retains all of his S&T; knowledge" argument. Of course, I can see why people would say that, but it seems to come dangerously close to having it both ways. S&T;'ers will say that Baddeley's rise up the world rankings after he left Plummer and Bennett was caused by his rejection of S&T; equally, it seems, they'll say that any success he might have in the future will be due, at least in part, to the "knowledge" of S&T; that he retains. I think the latter claim is dubious when Baddeley has returned to his original coach (Lynch) in a deliberate attempt to move back to the swing he had when he won his two ("dinky" ... ha ha!) Australian Opens and was being lauded as the next Tiger-killer. Really, the great tragedy about Baddeley is that he's still miles away from living up to the promise he showed well before his Leadbetter and S&T; days. Ha ha. Yes, guys, I have a dictionary too. My main point was the first sentence: it all depends on the wording of the sign. I wasn't attempting to provide a complete definition of "lesson". If the sign referred only to "lessons" and you (or a court) were trying to decide whether a "lesson" had been given in any particular instance, I think you would have to go beyond the dictionary definition. Context is important. The dictionary definition of a "lesson" as a "piece of instruction" is insufficient if offering a few "quick tips" is okay; arguably, that would be a "lesson" according to the dictionary. In the end, you'd consider a range of factors, including the nature and extent of the teaching, the expertise and qualifications of the "teacher", the nature of the relationship between the "teacher" and the "student", and (I think) whether the "teacher" received any reward for the teaching. Not all of these things would be relevant in any given instance. For example, if I'd left my stall and was offering specific advice to another golfer for half an hour, I'd probably be giving a "lesson", regardless of whether I was being paid. Equally, however, I'd be giving a "lesson" if I was being paid for advice that comprised only a few quick tips given over a couple of minutes. The answer in any particular instance will obviously depend upon the wording of the sign. If the sign forbids giving "lessons", though, I reckon you'd be able to argue that a lesson requires payment of some kind. The signs are there to protect the teaching pros' businesses. Despite what you say, Butch, I find it hard to believe that teaching pros would feel that their businesses are threatened in any way by some five (or two) handicapper showing a newbie mate the ropes free of charge. If they are threatened by that kind of thing or if their main competition comprises two-handicappers teaching their mates, the enforcement of the rule might be the least of their problems. I don't think many people are really going to disagree with you. The point is that Rice shouldn't have been out there. It doesn't matter how we'd look in the middle of a tour event; we're not out there. It's precisely because we know how good these guys are, and how hard they've had to work to get even to that level, that we're so critical of freeriders like Rice. So, he's a cheat a well. Yeah, I'm sure the guys on the Nationwide Tour were really grateful to have their lives validated by Rice, a wannabe hack that couldn't be bothered even looking up the rules. Actually, his ignorance here is telling: any golfer good enough to play in elite events would know that rangefinders generally aren't permitted at that level.